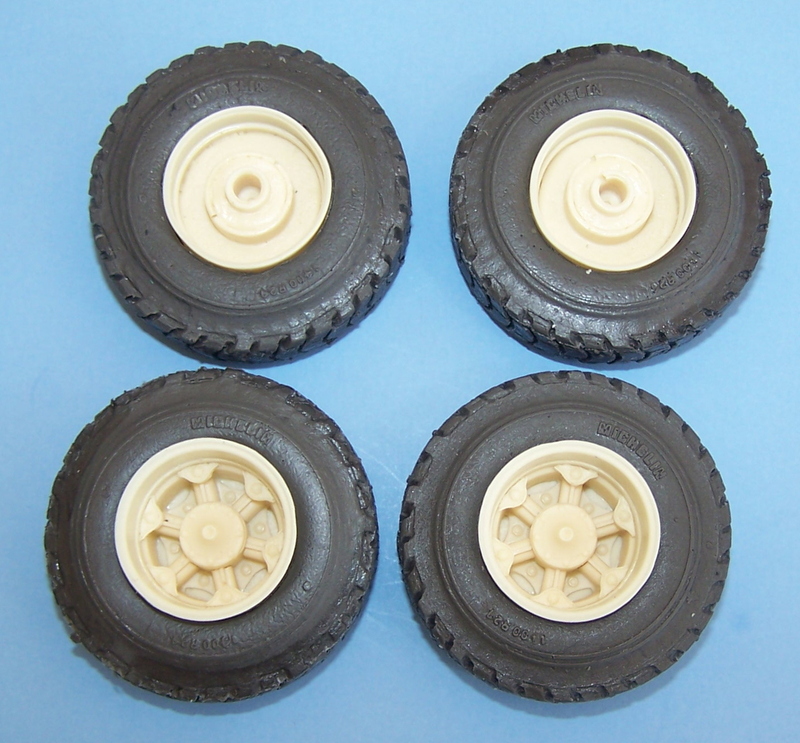 Set of 4 wheels, 4 inner wheels and 4 axle caps, wheels measure 21.5mm dia. 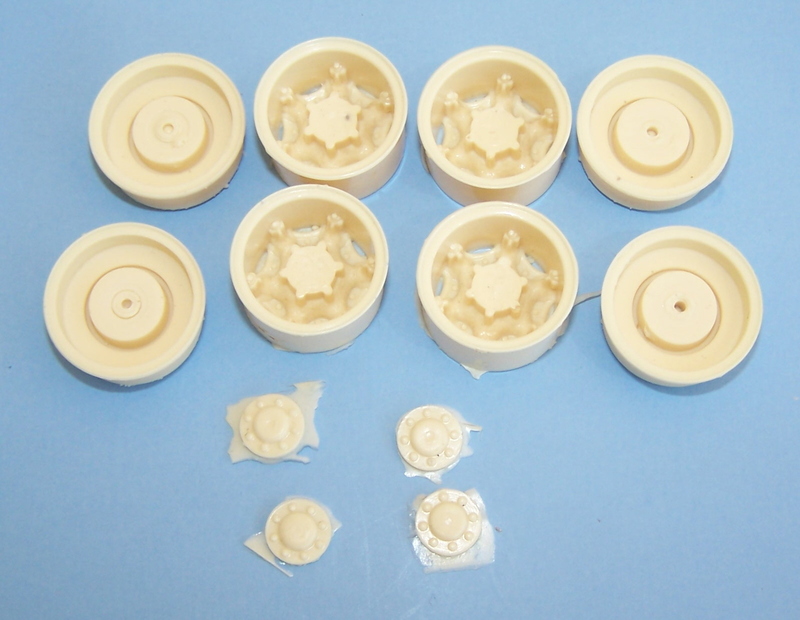 Set of 2 6 spoke steer wheels for B model Macks, wheels measure 21.4mm dia. Set of 4 14.00 x 24 tires and 4 severe duty 6 spoke drive wheels. 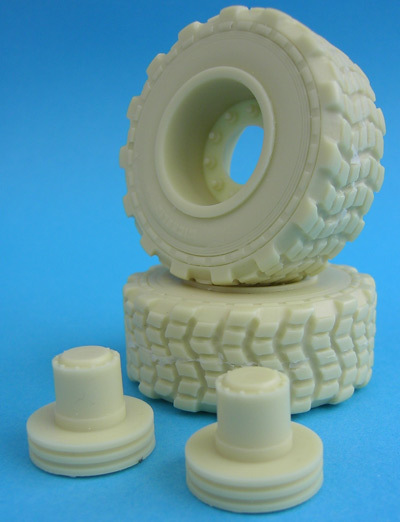 Excellent for use on Mack DM 800, match with WS11TY1 steer wheels and tires. Set of 2 14.00 x 24 tires, 2 severe duty 6 spoke steer wheels and 2 brake drums. 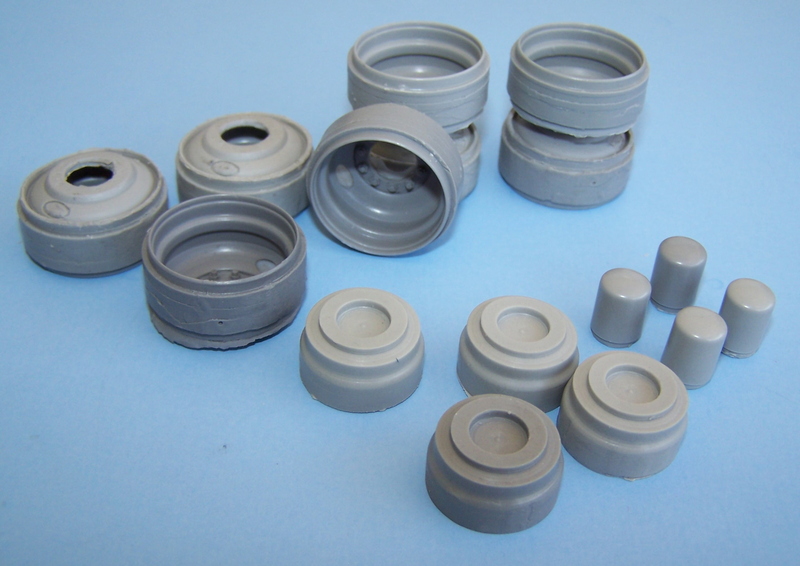 Excellent for use on Mack DM 800, match with WD31TY1 drive wheels and tires. 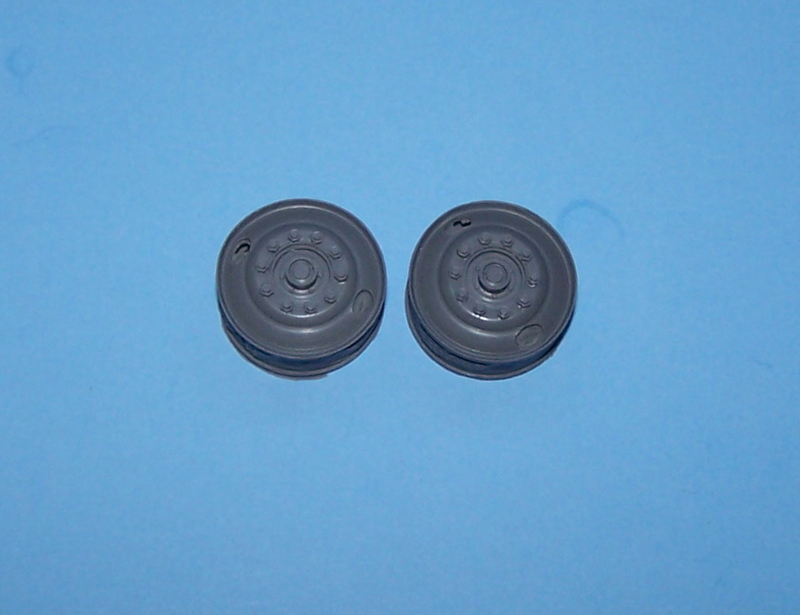 Set of 2 tires and wheels with hubs and brake drums, tires measure 50mm high x 20mm wide. 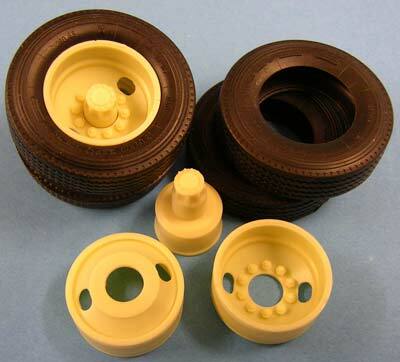 Resin cast 6 spoke drive wheel set for Mack. Includes 4 wheels and 8 backing rings. 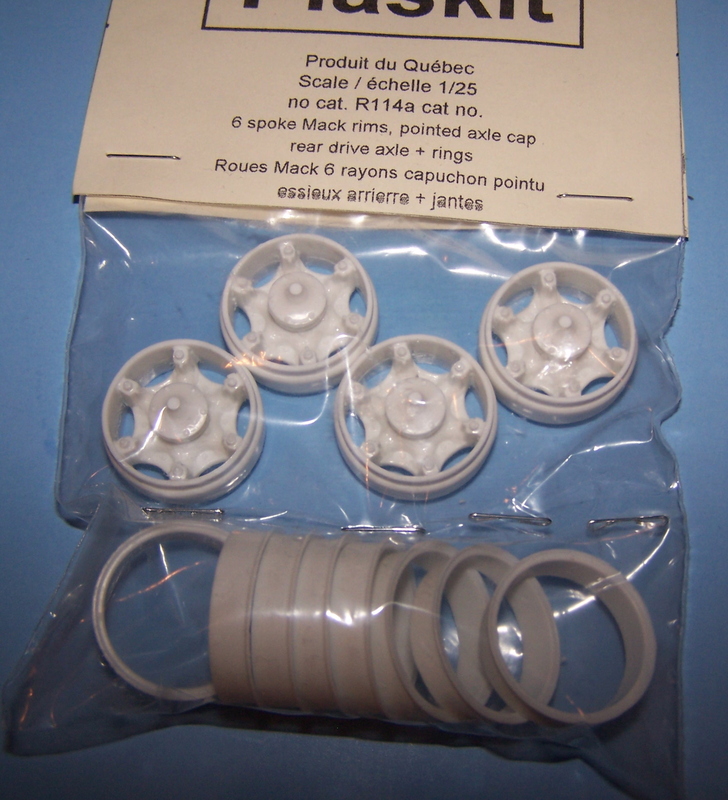 For use with AMT/Ertl or similar 22" tires. Use on 40,000 and 44,000 lbs rear suspensions. 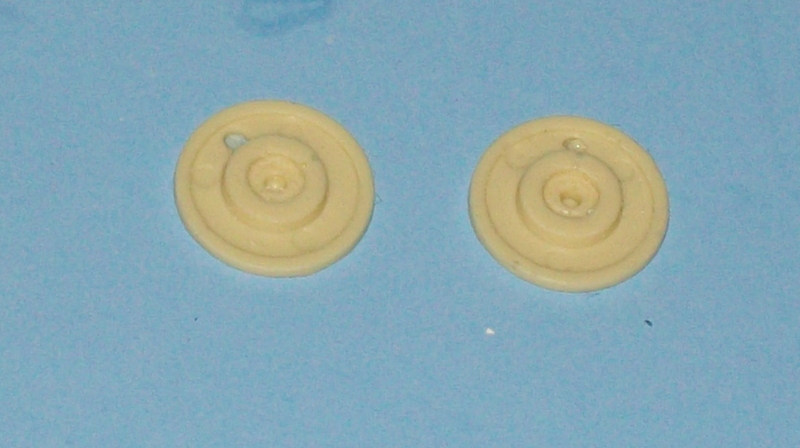 Set of 2 backing plates. 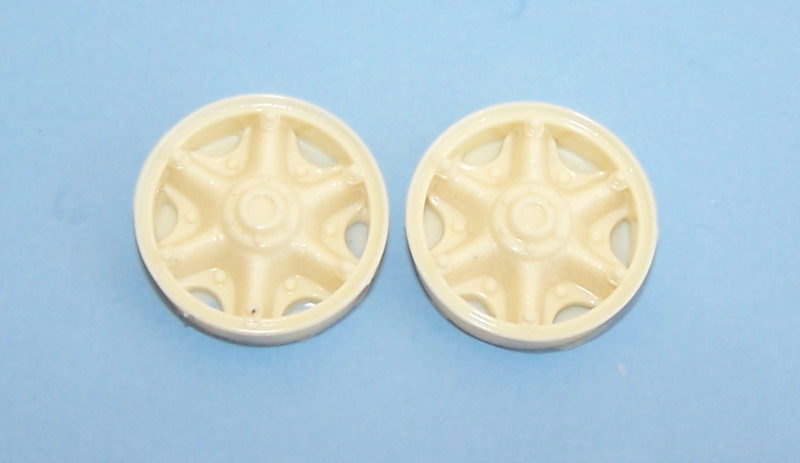 Set of 2 wheels, will fit AMT/Ertl 20" tires. Set of 8 drive wheels with 8 brake drums and 8 hub covers for use with Italeri tires and other tires designed for Itlarei wheels. 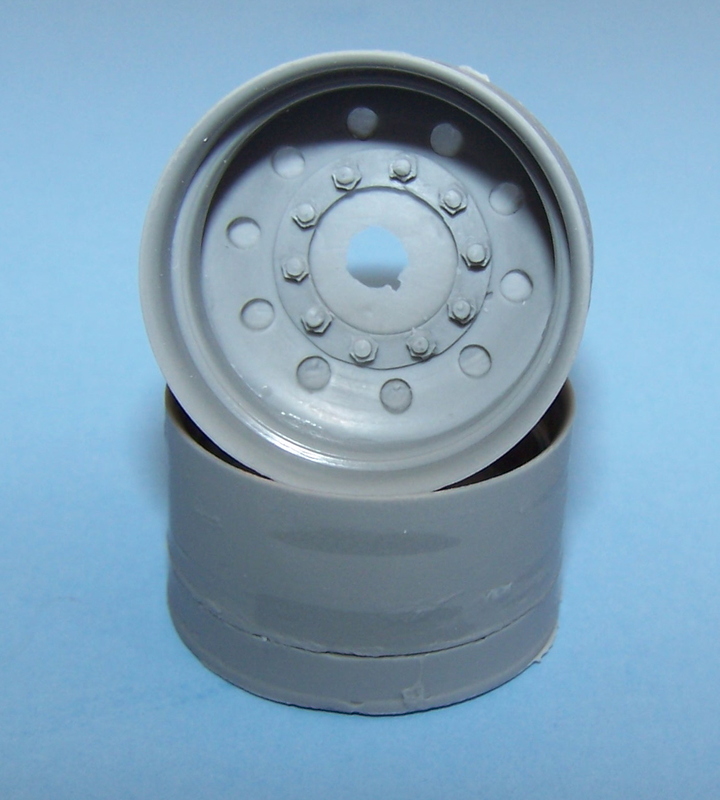 Set of 2 10 hole drive wheels for use with super single tires, wheels measure 25.4mm dia. 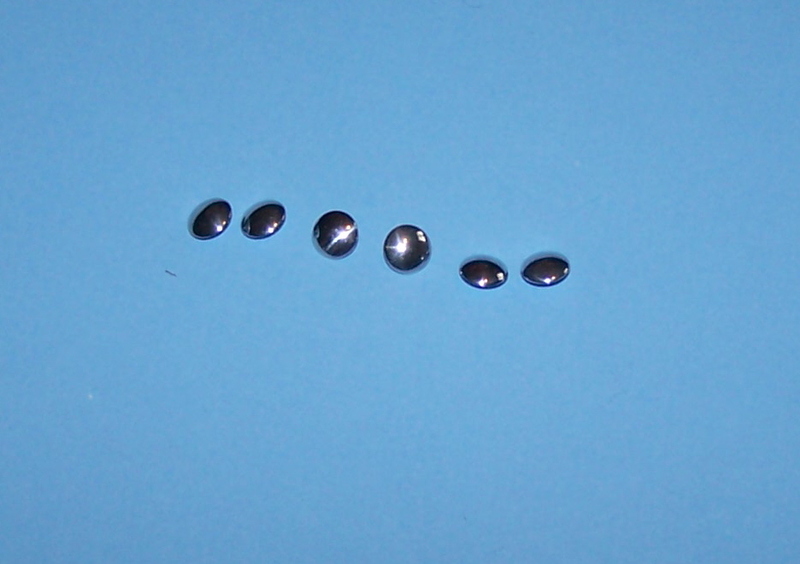 Set of 6 polished aluminum wheel center(hub)caps 8.5mm dia. 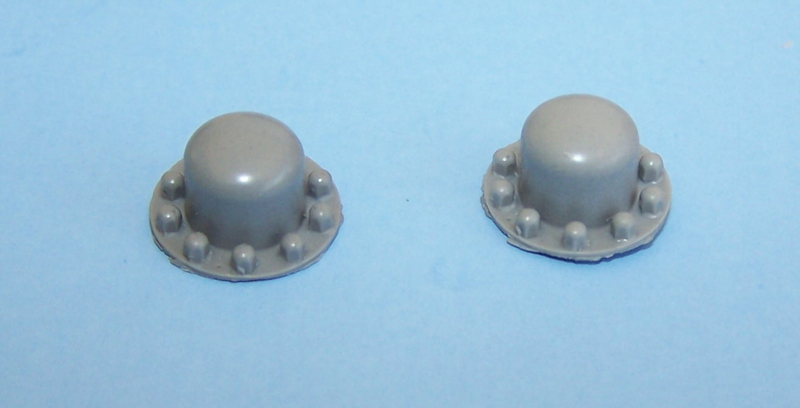 Set of 4 top hat style hub covers, may be used on drive or steer wheels. 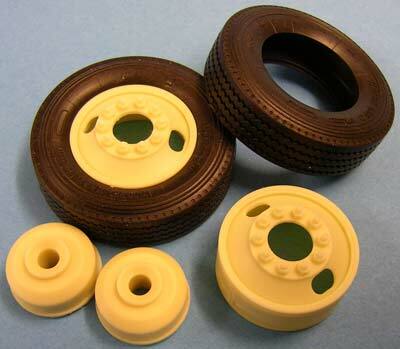 Resin cast wheels with rubber tires. Set of 4 cast resin wheels, 2 brake drums with hubs and 4 Italeri tires. Designed to fit Italeri axles. 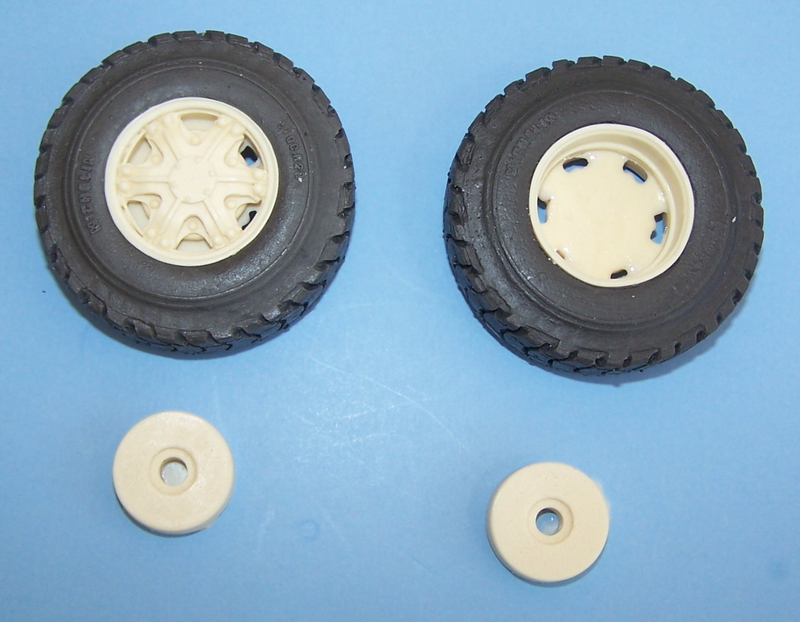 Set of 2 cast resin wheels, 2 brake drums and 2 Italeri tires. Designed to fit Italeri axles.